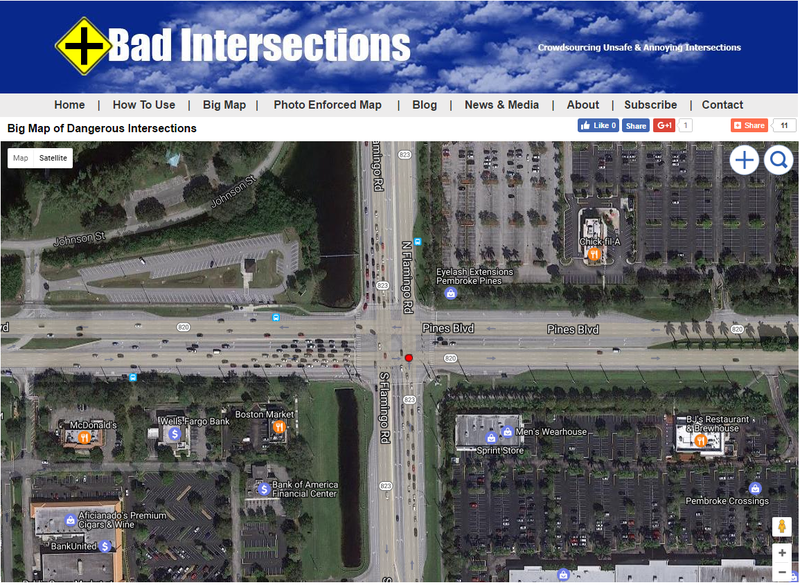 According to State Farm the intersection of Flamingo and Pines Blvd in Pembroke Pines, Florida is the Most Dangerous Intersection the United States. 1. 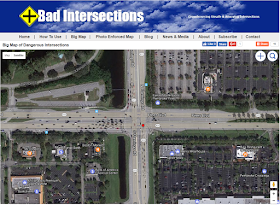 Flamingo Road and Pines Boulevard, Pembroke Pines, Fla.
5. 51st Street and Memorial Drive, Tulsa, Okla.
6. 71st Street and Memorial Drive, Tulsa, Okla.
9. Clearwater Parkway and Veterans Memorial Boulevard, Metairie, La. 10. Fair Oaks Boulevard and Howe Avenue, Sacramento, Calif.